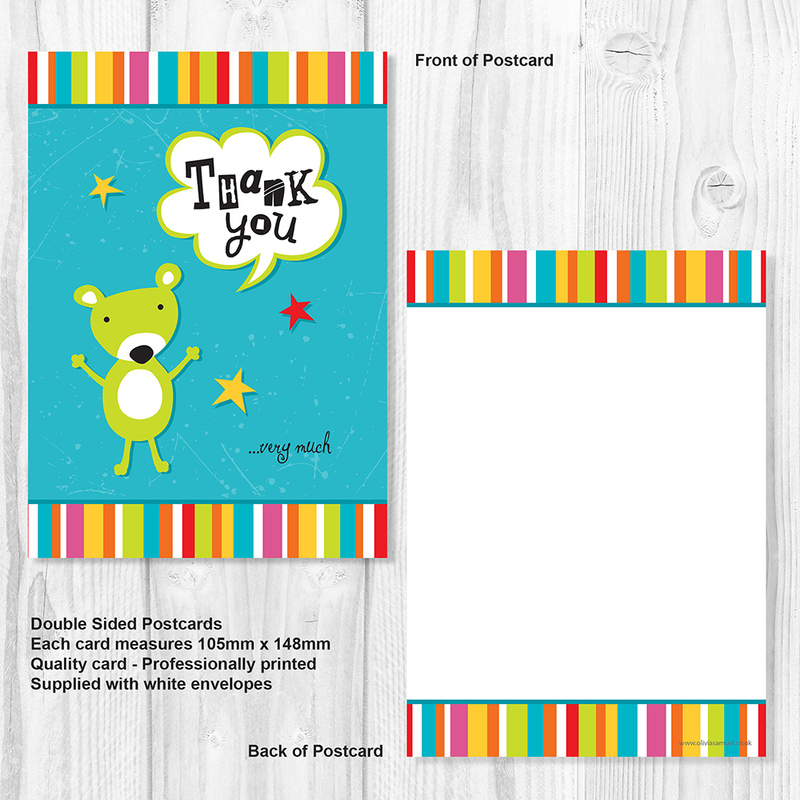 This pack of 10 high quality kids thank you cards and envelopes feature a loveable green teddy and bold stripes on the front and reverse. Thank You … very much is written on the front. 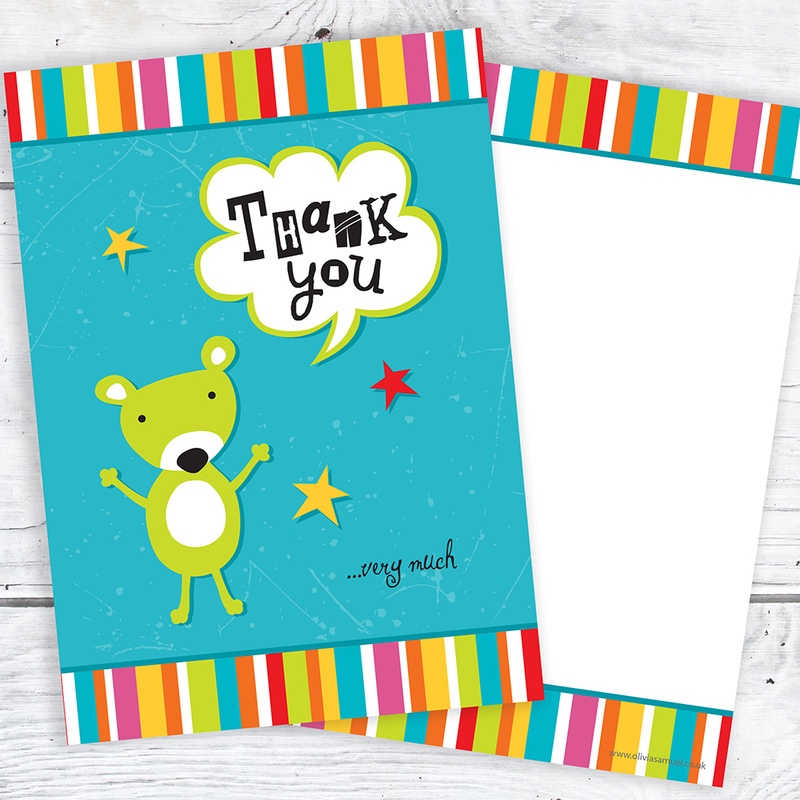 The A6 cards have plenty of room for a short hand written note of thanks.